Looks like the Voice of Russia will be a part of an extensive reorganization within the network of Russian state-run news agencies. No mention of shortwave service, other than previous articles we’ve posted. I can’t help but believe Dec 31st 2013 might be VOR’s last day on the shortwaves. 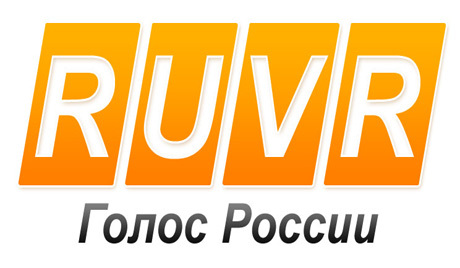 As of today, The Voice of Russia radio company has officially ceased to exist in its previous capacity and will merge with several other state-run news agencies to emerge as Rossia Segodnya, a Russia-based international news service. Russian President Vladimir Putin has signed a decree abolishing RIA Novosti, one of the largest news agencies in Russia. RIA will be reborn into its second life as a global agency called Rossia Segodnya (Russia Today). Rossia Segodnya will be headed by Dmitry Kiselyov, the Kremlin says. The headquarters of the newly-born agency will stay at the RIA office. According to the official statement, Rossia Segodnya will also include the state-run Voice of Russia radio station. President Putin has also given the Cabinet of Ministers a month to plan all events necessary to help the International News Agency “Rossia Segodnya” into existence and add it to the list of state-run strategic entities. The fledgling agency will focus on informing foreign audiences about Russia’s policies and the way of life. The President’s decree today reformed and did away with an entire bulk of state media. It abolished the State Fund of Television and Radio Programs, placing it under control of All-Russia State Television and Radio Broadcasting Company. The same order has passed over the Russian Book Chamber, a federal scientific center, to the ITAR-TASS news agency. The decree comes into force starting today, December 9. Many thanks to Andrea Borgnino for this tip! This entry was posted in Broadcasters, News and tagged Rossia Segodnya newswire, Voice of Russia, Voice of Russia Cuts, VOR, VOR Cuts on December 9, 2013 by Thomas. The Voice of Russia continue: see http://www.radionoticias.com. “Russia Today” also is the name of the international Russian Sat TV station, see rt.com. This station has progressed beyond primitive propaganda. Remembering who pays that lunch you should watch the station from time to time. You can meet again with Larry King and others who have reached the point in life where business and political correctness are no more important.